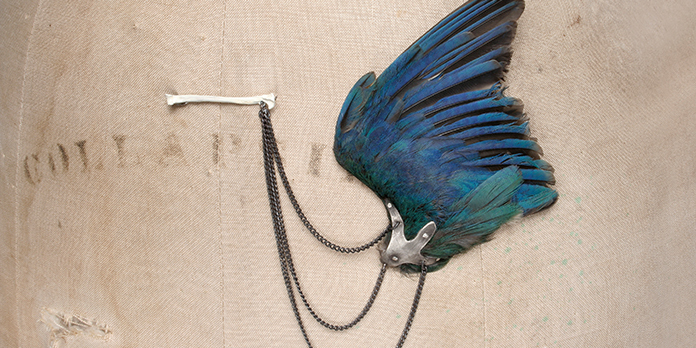 Julia deVille is highly regarded for her beautiful and unusual jewellery and for her work in leather and taxidermy. Influenced by Memento Mori jewellery of the 15th and 16th centuries and by Victorian mourning jewellery, she mainly works in gold and silver, which she combines with surprising materials such as petrified wood. Julia deVille’s interest in life and death started in her youth, where as she grew up in New Zealand, she was curious about her grandmother’s fox-fur stoles, the mouth of which bit the tail. She was fascinated by the concept that the fur had once been a living thing. 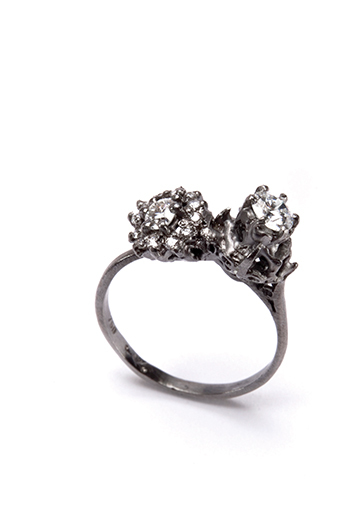 Julia moved to Melbourne in 2001, where she began her training in gold and silversmithing, as well as in taxidermy. 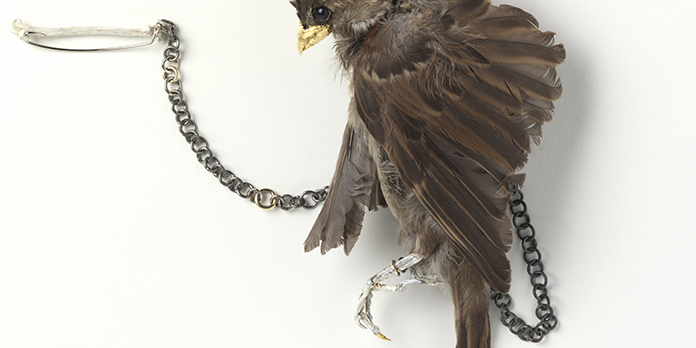 Under her label Disce Mori (Learn to Die) Julie has created a successful jewellery and taxidermy business, available through the Sophie Gannon gallery. 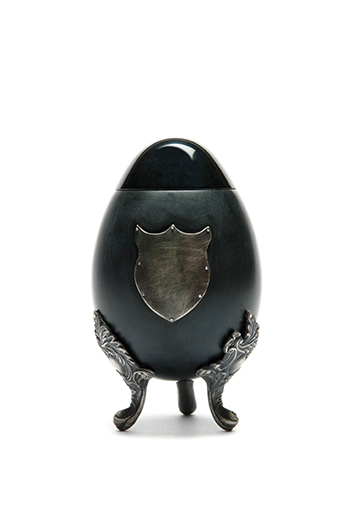 Her work explores the aesthetic of mortality in the Memento Mori period of the 15th to 18th centuries. 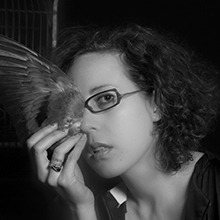 As a strict vegetarian, Julia considers her taxidermy as a celebration of life, and only uses animals that have died of natural causes in her work.